With an All-Star cast, original music, and PG rating, this new animated featured sledded into theaters September 28th, eyeing big box office success among both kids and families. Smallfoot turns the legendary myth upside down when a bright young yeti finds something he thought didn't exist — a human. News of this "smallfoot" throws the simple Yeti community into an uproar over what else might be out there in the big world beyond their snowy village, in an all new story about friendship, courage and the joy of discovery. While they may not be on-screen, this feel-good film isn't short of talent in the recording booth, with a line-up including Channing Tatum as Migo, James Corden as Percy, and Zendaya as Meechee. Also on the cast list is Common (Stonekeeper), LeBron James (Gwangi), and Danny DeVito (Dorgle), rounding out the Yeti troupe alongside Tatum and Zendaya. The Warner Bros. animated pic shovelled in $27M opening weekend and the box office hit $168 million after just a short window of release. The other family oriented feature, Amblin's The House With The Clock In Its Walls starring Cate Blanchett and Jack Black, was the core competition. Smallfoot played in 4,000 locations and touts a Rotten Tomatoes score of 74% fresh which is higher than its previous animated feature, Storks, released last year, which finished with a 65% fresh rating. But now, it's time to talk brands partnerships, and see who dominated the marketing mountain with their cool and creative campaigns. 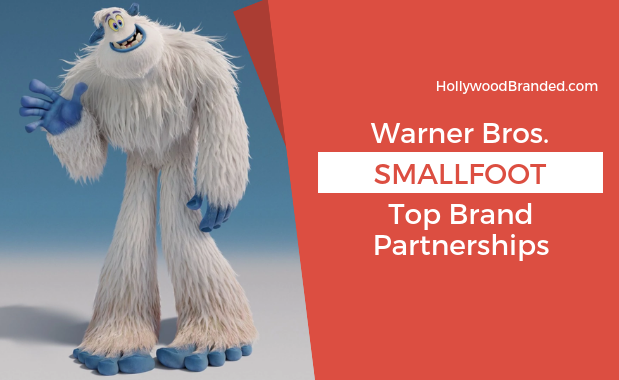 Starting off our list, this sweet treat partnered with the film for a cool promotion, with two special Smallfoot inspired treats. The Smallfoot inspired ice-cream and shake hit the menu August 29th to close out the summer and will be available until October 16th. 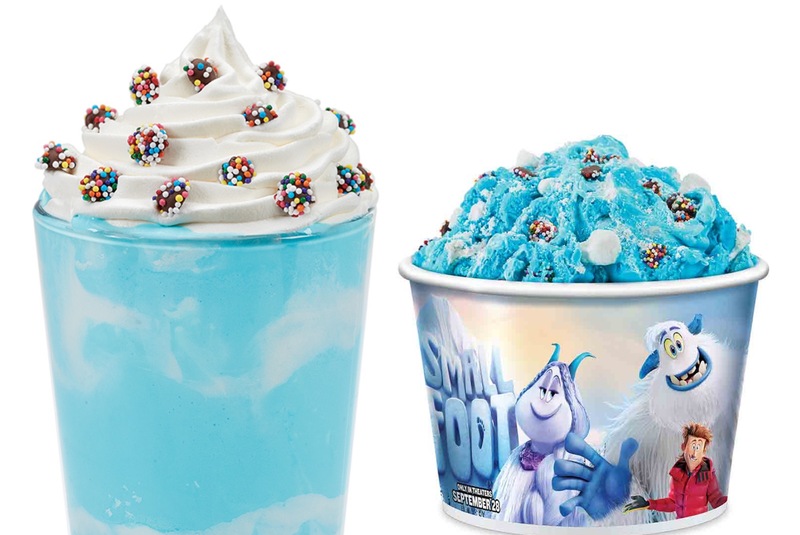 Teaming up with Smallfoot, Cold Stone Creamery released the two hit flavors, Yummy Yeti Confetti, and Migo's Marshmallow Medley, with the ice-cream available in a film-themed collectible bowl featuring the lead characters Migo, Meechee, and their human counterpart, Percy. In the official press release by Cold Stone Creamery, the Director of Marketing had this to say: "We are always excited to work with Warner Bros. and celebrate the release of a new movie, especially a family friendly film about friendship and discovery," said Melissa Hubbell, "Smallfoot was the perfect partnership and we can't wait for people to enjoy the film and the delicious treats from Cold Stone Creamery with their family and friends." 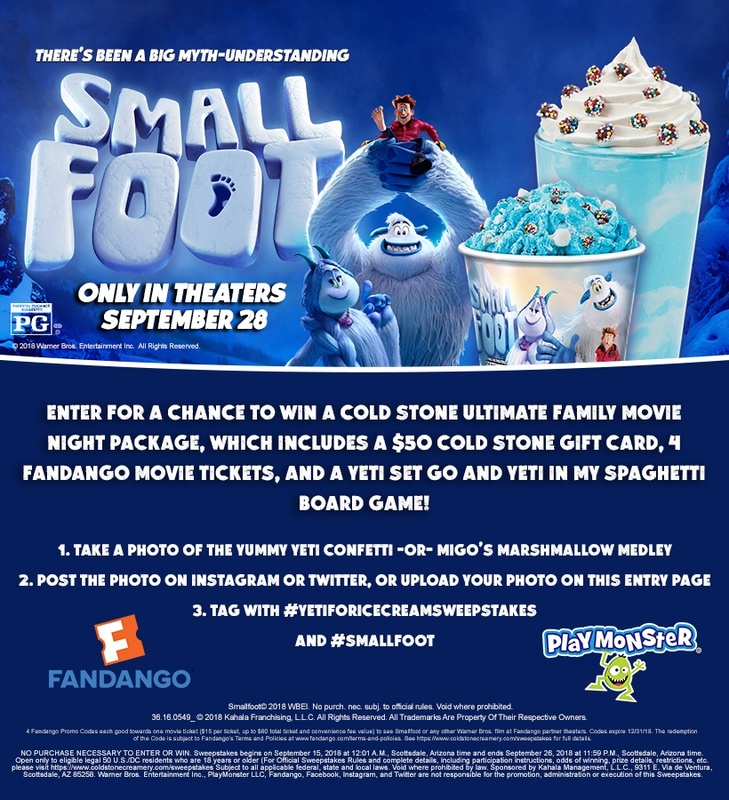 As an added bonus to the treats, Cold Stone Creamery also launched an online sweepstakes which started August 31 where contestants could visit their website's entry page and take the "Which Smallfoot Character Are You?" quiz for a chance to win a private hometown screening of Smallfoot. Entires ended September 14th. PlayMonster introduced its new game Yeti, Set, Go! 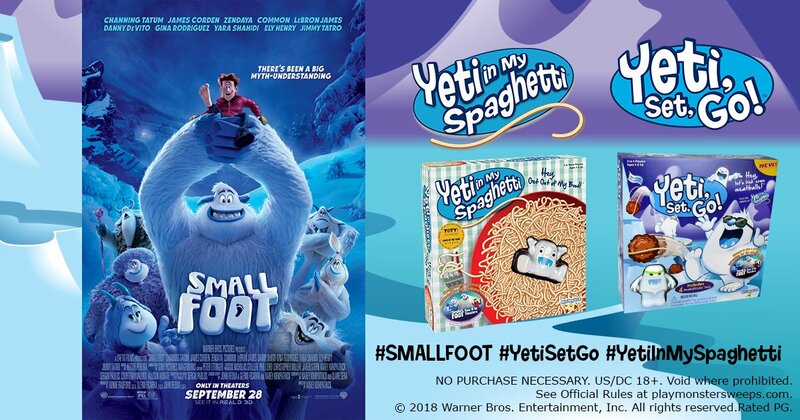 along with Yeti in My Spaghetti by partnering with Warner Bros. on the theatrical release of Smallfoot. 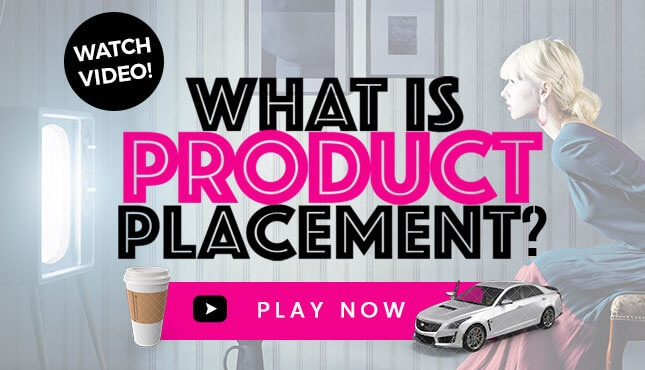 The partnership included an on-pack sweepstakes and insert where one lucky winner and 150 of their closest friends could win a private screening of the film. 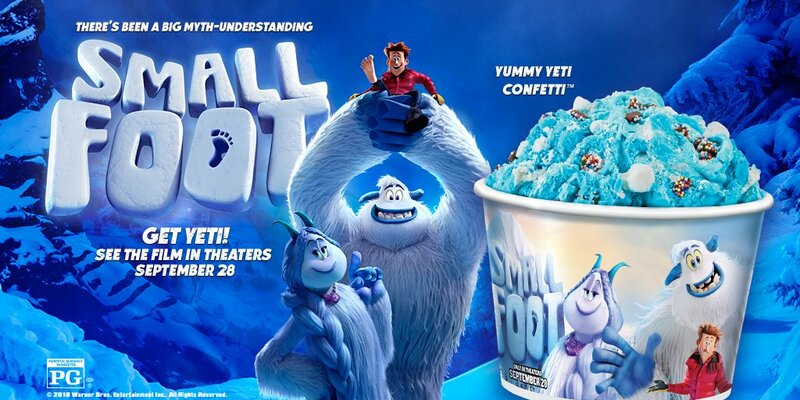 PlayMonster also provided associate prizing for Smallfoot partner programs with Cold Stone Creamery, VIP giveaways, Warner Bros. 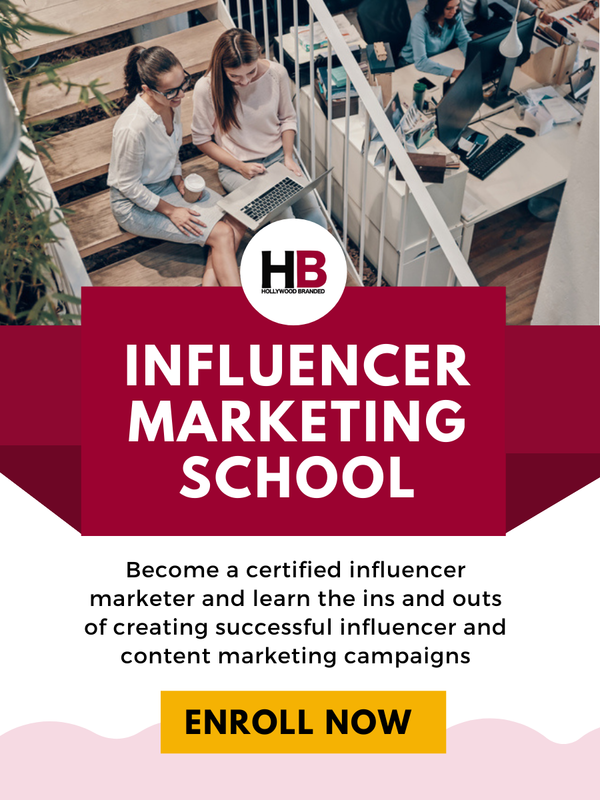 Mom blogger/influencers, local radio, media, and theater partner social media giveaways. But the partnership didn't stop there, PlayMonster also helmed the “game cabin” in the Smallfoot Village live pop-up, where consumers could win copies of Yeti in My Spaghetti in addition to playing the games. At the live pop up PlayMonster also supported the film with online and social media, and a movie ticket-giveaway. Rounding out the cool-treat category is Planet Smoothie, who partnered with the animated feature to bring us the Yeti Confetti Blast smoothie. The new addition to the menu was made available September 3rd and will last until October 14th. The online menu describes the Yeti Confetti Blast is fit for yetis and humans alike, with strawberries, apple, bananas, pineapple, frozen yogurt, orange sherbet and yeti confetti. Customers also received a free Smallfoot and Planet Smoothie co-branded color changing straw when they order the limited edition smoothie. "Planet Smoothie is ecstatic to partner with the family friendly animated film, Smallfoot," said Nicole Butcher Director of Marketing for Planet Smoothie in the official press release published online. 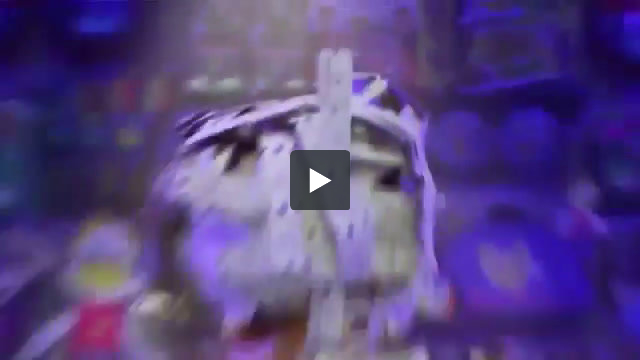 "Yeti Confetti Blast is a fun, limited time offering that we are excited for everyone to enjoy!" Planet Smoothie also launched an online sweepstakes starting September 3rd for a chance to win a private screening of Smallfoot for the winner and 100 guests in their hometown. To enter, fans could visit their online sweepstakes which was available until September 21st. Chuck E. Cheese's partnered with the animated adventure for a limited time leading up to film's release. All patrons who visit between September 10th through October 14th, received a Smallfoot Collectible with any All You Can Play purchase. The collectible is a furry keychain of main character, Migo, and is described as a fun accessory for kids, exclusively available at Chuck E. Cheese's. The family-fun arcade restaurant also held an in-store photo contest where families could take pictures with their Smallfoot prize and enter for a chance to win the grand prize of a VIP Play Band with up to 375 games per week for a year. 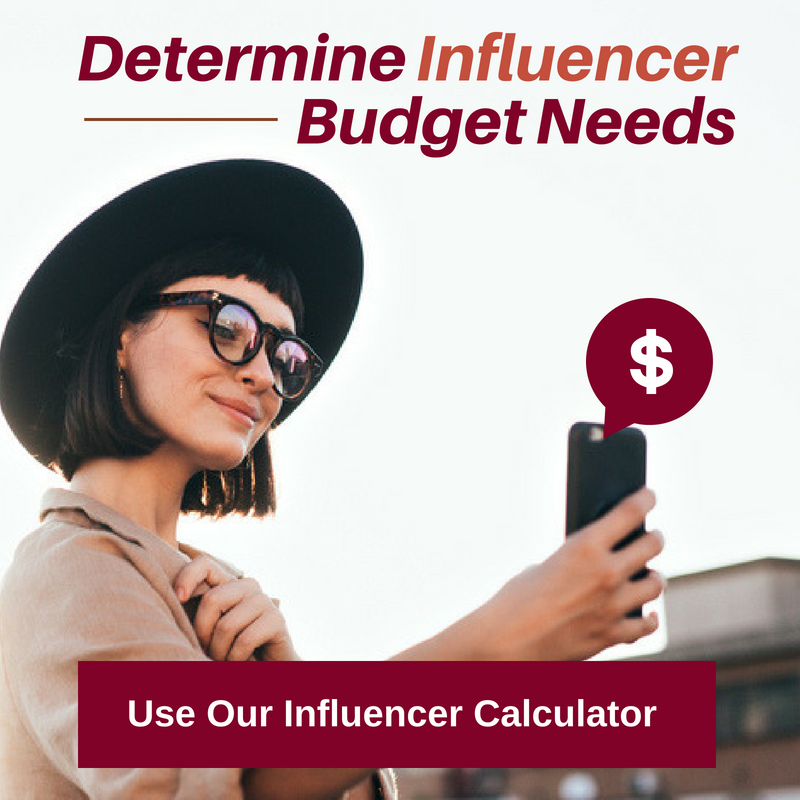 Are You Yeti For The Next Step? Animated movies are fantastic brand vehicles - and often have more than a handful of brand partnerships. 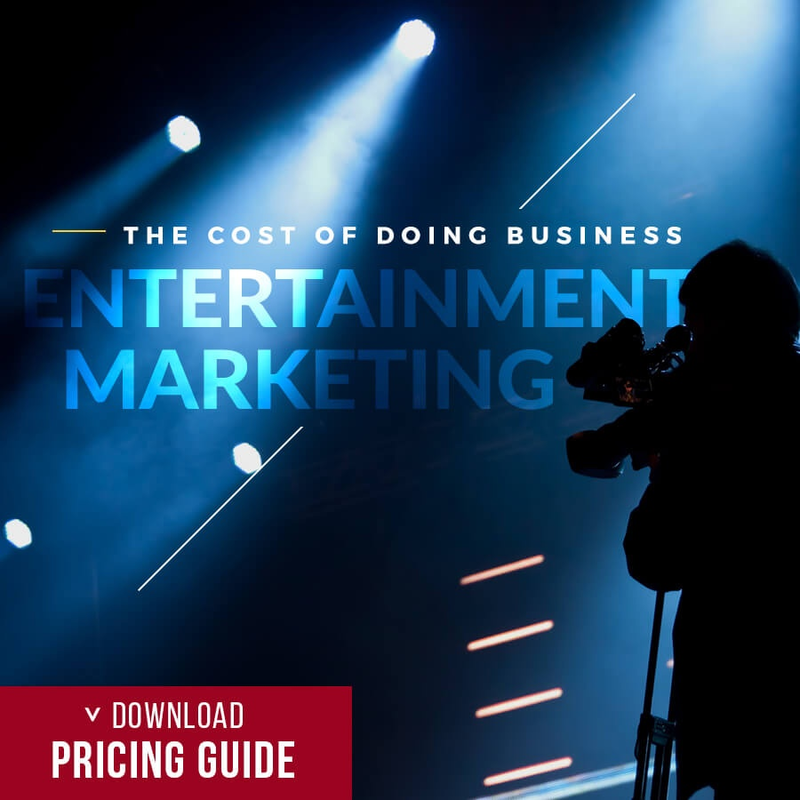 And to read about other brands who looked to seize animated feature marketing potential check out our blog on Brand Partnerships In Incredibles 2 and our Finding Dory: Brand Partnerships As Vast As The Ocean Infographic. 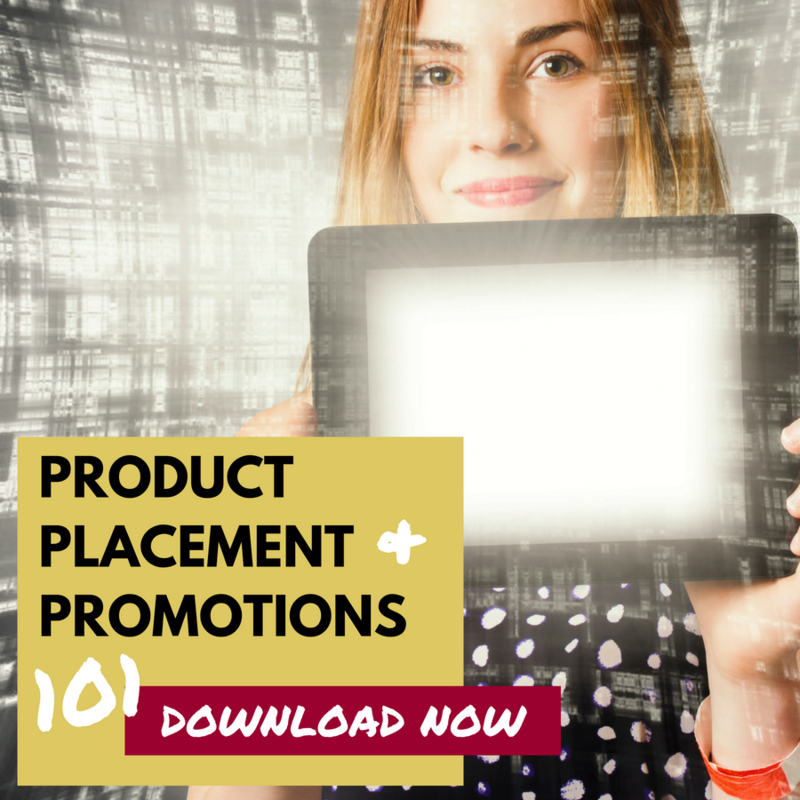 Make sure you check out our Product Placement and Promotion 101 Guide to better understand how your company can leverage movie partnerships.